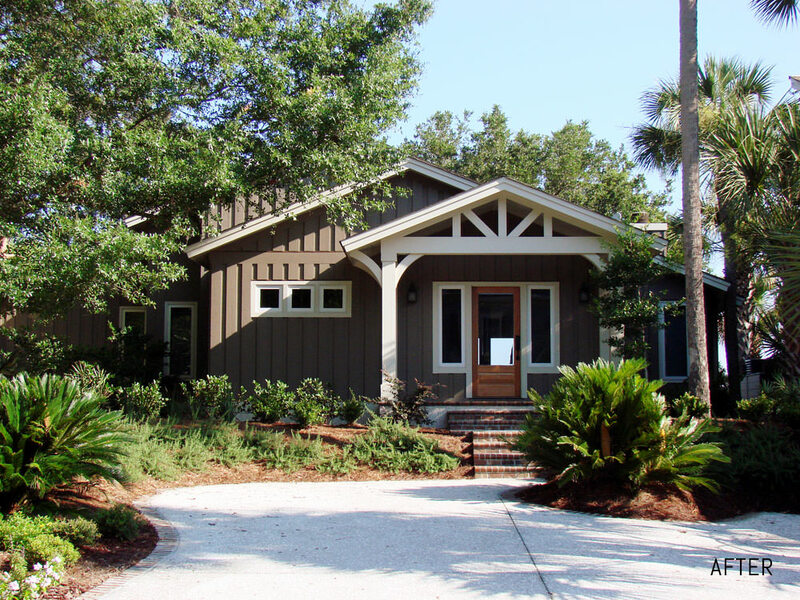 In 2008 Cobb Architects was commissioned to redesign and update the façade of a small cottage on Kiawah Island overlooking the Kiawah River. Additionally, the renovation was to include a new front porch, a mudroom with built-ins, and a new foyer. 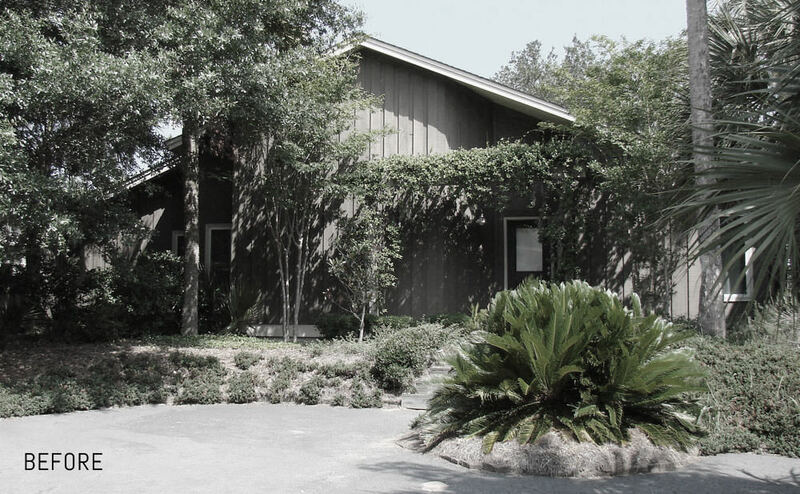 Cobb designed the new front porch to include exposed rafter tails, curved brackets to support the roof overhang, a bead board ceiling, and brick flooring and stairs. The new foyer was vaulted to create a spacious, yet proportionate main entry to the house, while directing views straight through the house to the river beyond. Additionally, the vaulting of the foyer mimics the vault of the front porch carrying the exterior design into the house. Cobb designed the mudroom to with built-ins that incorporate individual storage.